Equipping biblical communicators, so every culture hears God’s voice. CAN CROSSTALK COME TO MY CULTURE? CAN I BE A STUDENT? 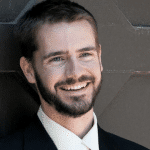 CAN I HELP TEACH WITH CROSSTALK? CAN I SUPPORT CROSSTALK GLOBAL? Senior Pastor, First Baptist Church of Hollywood, California. 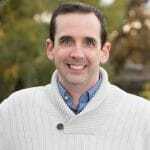 Lead Pastor, Trinity Alliance Church, Rochester, New York. CrossTalk Global is excited that a new residency in Yangon, Myanmar launched in June, 2016! 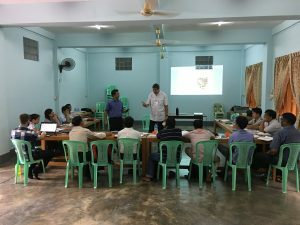 The Christian leaders and pastors of Myanmar have endured so much, and have had so few resources, that we are proud to respond to their request for our help. 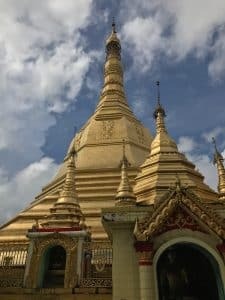 The expense of travelling is significant, but since Burmese Christians are brothers and sisters in Christ, we dare not turn our backs on family. Over our two-week residency, we saw tremendous growth in our students’ ability to understand and communicate God’s Word. Those who once sought a single evangelistic interpretation from every passage began to discover the unique ideas of individual texts. Sermons that were once void of application grew into expositions that brought God’s truth to life. Several students began to stand out as potential apprentices for the next two cohorts. 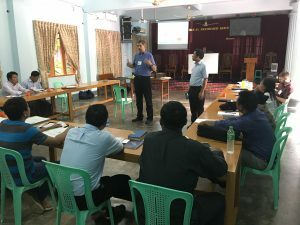 Without question, this growth will yield biblically relevant sermons that are preached throughout Myanmar over this next year. 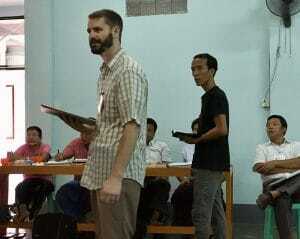 Will you help us encourage and equip God’s family in Myanmar? 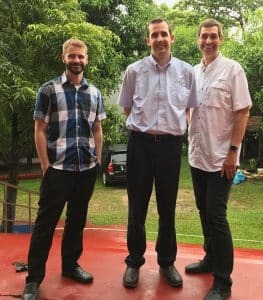 Your generosity will enable us to demonstrate to this long-suffering church that we love them enough to help them effectively communicate God’s word. Please pray for this initiative. And please give to support this initiative. I thank God for the eighteen students who have committed themselves to growing as biblical communicators... As such, I cannot wait to see what God will do through this first group of students as they unleash the transforming power of God through the proclamation of his word. Starting the New Year (2016) with Crosstalk was the best decision I’ve ever made. 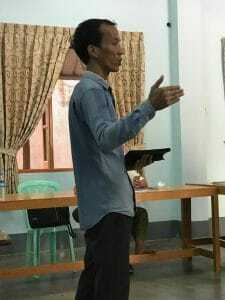 It’s been such a blessed time because I had the opportunity to learn the best way of preaching and understanding the Bible with the best leaders, Brother Kent, Brother Alex and Brother George. Crosstalk helped me to read and understand the Bible the way I never did before. Because of crosstalk I got new and close friends who helped me to be more confident. Thank you brother Kent for being not only a great leader but a good adviser and a wise pastor.